The Tandana Foundation, in collaboration with Alpha Formation Traduction et Conception Documentaire au Pays Dogon and support from Dining for Women, organized workshops about women’s leadership. During one of the workshops, after a module about the topic of the difficulties of women leaders, particularly lack of self-confidence, participant Aissata Kansaye, who was selected as the policewoman of the workshop, described one of her past struggles in order to encourage other women to take risks. 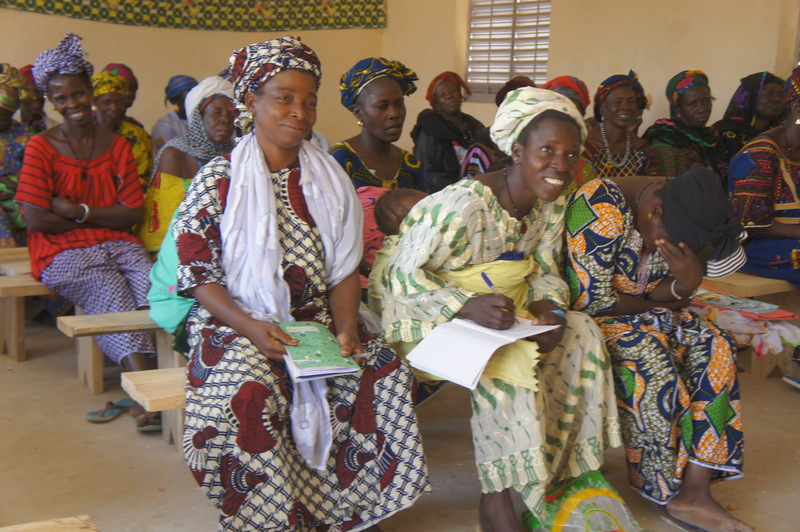 La Fondation Tandana, en partenariat avec Alpha Formation Traduction et Conception Documentaire au Pays Dogon, a organisé des ateliers sur le leadership féminin. Pendant un des ateliers, après le module sur le thème des difficultés des femmes leaders notamment le manque de confiance en soi des femmes, la participante Aissata Kansaye, qui a été choisie comme policière de l’atelier, a témoigné une de ses combats pour encourager les autres femmes de prendre risque. Ci-dessous, une vidéo d’Aissata partageant cette histoire pendant l’atelier, suivie de la transcription. Je suis sortie après pour aller chercher mon cahier de alpha pour suivre les cours car on m’a refusé de donner le cahier et le bic. A la fin de la formation le sous –préfet était très étonné de mon engagement et de mon courage. Il m’a appelé après pour écrire mon nom sur la liste à cause de mon engagement et il m’a dit qu’il ne croyait pas mon niveau mais maintenant il voit que je peux faire le travail. C’est comme ça que j’ai été assesseur du bureau de vote en 2016. Ce courage j’ai eu grâce aux différentes formations de la Fondation Tandana en passant par le groupe EPC, centre alpha, et aujourd’hui cette formation. Donc je vous appelle toutes si on s’engage on peut y arriver et soyons prêtes pour les élections à venir. Maintenant nous avons la capacité de ne pas avoir peur de prendre risque par cette formation. The Tandana Foundation, in collaboration with Alpha Formation Traduction et Conception Documentaire au Pays Dogon, organized workshops about women’s leadership. 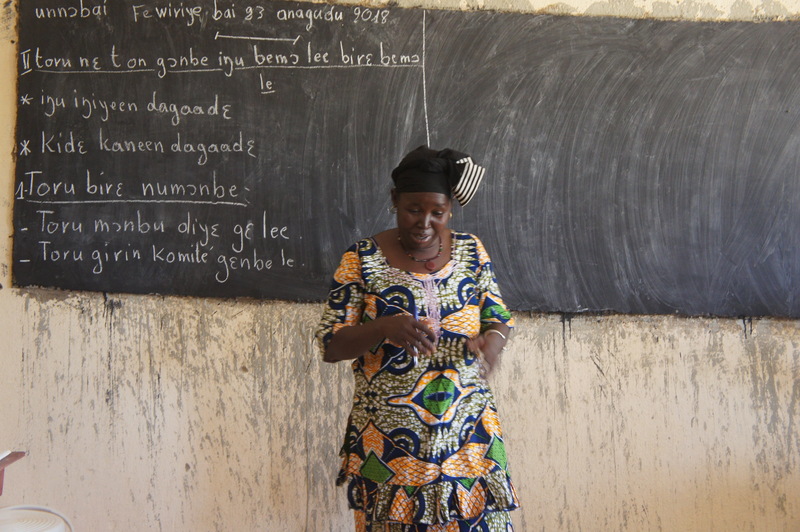 During one of the workshops, after a module about the topic of the difficulties of women leaders, particularly lack of self-confidence, participant Aissata Kansaye, who was selected as the policewoman of the workshop, described one of her past struggles in order to encourage other women to take risks. Below is a video of Aissata sharing this story during the workshop, followed by the transcript. I went out later to get my literacy notebook to take notes, because they refused to give me a notebook or pen. At the end of the training, the sub prefect was very surprised by my commitment and my courage. He called me up, writing my name on the list due to my commitment and told me that at first he had not believed in my level (of education), but now he saw that I could do the work. So, that was how I became an elections poll monitor at the voting office in 2016. This courage that I showed is thanks to the different programs of the Tandana Foundation, through the Savings for Change group and the literacy classes. So now I encourage all of you, and tell you that if we commit (to being leaders), we can get there and be ready for the upcoming elections. We now have the ability not to be afraid to take risks, thanks to this training. 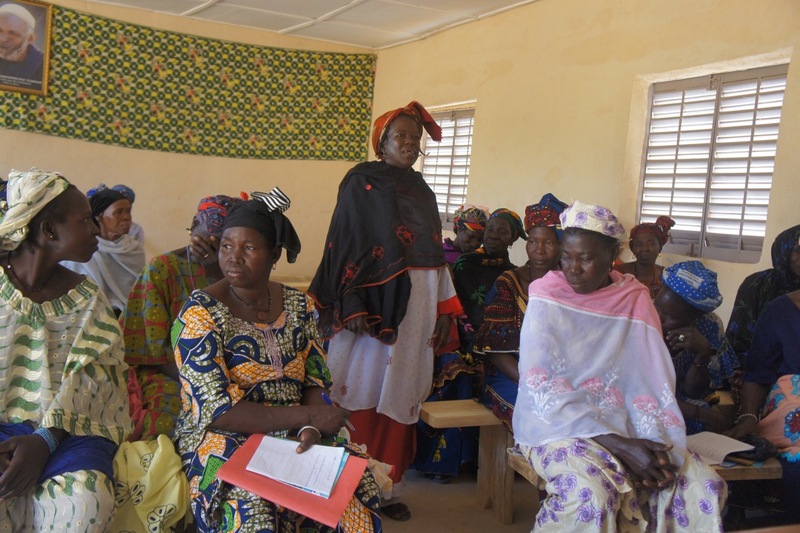 La Fundación Tandana , en colaboración con Alpha Formation Traduction et Conception Documentaire au Pays Dogon, ha organizado talleres sobre el liderazgo de las mujeres. Durante uno de los talleres, después del módulo sobre el tema de las dificultades de las mujeres líderes, en particular, la falta de auto-confianza, la participante Aissata Kansaye, quien ha sido seleccionada como la policía del taller, contó sobre una de sus luchas para animar a otras mujeres a tomar los riesgos. A continuación se muestra un video de Aissata que comparte esta historia durante el taller, seguida de la transcripción. Salí después para conseguir mi cuaderno de alfabetización para seguir las clases porque no me dieron ni cuaderno ni esfero. Al final de la formación el sub–prefecto estaba muy sorprendido por mi compromiso y mi valentía. Él me llamó después de escribir mi nombre en la lista debido a mi compromiso y me dijo que antes no había creido en mi nivel, pero ahora él veía que yo podría hacer el trabajo. Es así como fui asesora de la oficina de la votación en 2016. Esta valentía que he tenido, es gracias a las diferentes formaciones de la Fundación Tandana, a través del grupo Ahorros Para el Cambio y el centro de alfabetización. Entonces los llamo a todos y digo que si nos comprometemos, podamos llegar y estar listos para las próximas elecciones. Ahora tenemos la capacidad de no tener miedo a tomar el riesgo a traves esta formación. 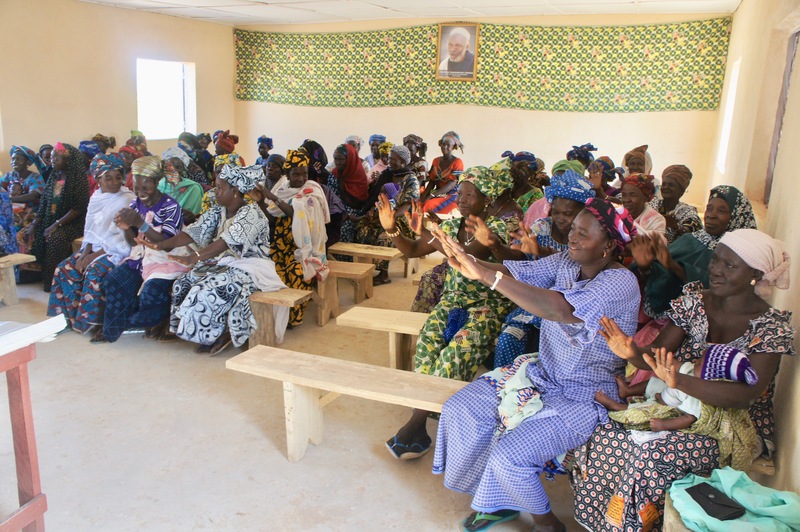 Thank you so much for sharing this uplifting anecdote of this woman’s courage and commitment to her community in Mali. While we in the USA continue to think ourselves the very model of democracy, the US has one of the lowest voter participation rates of all developed nations and some officeholders are attempting to diminish it even further. Even among the minority of active voters, we are spectacularly ignorant of current events, history and culture- both in our nation and abroad. It is so inspiring to read of Aissata Kansaye’s engagement in Malian elections, and her personal strength and determination. The Tandana Foundation deserves gratitude for its ongoing work for women’s literacy and small-business development in that beautiful country threatened by violence and religious extremism. 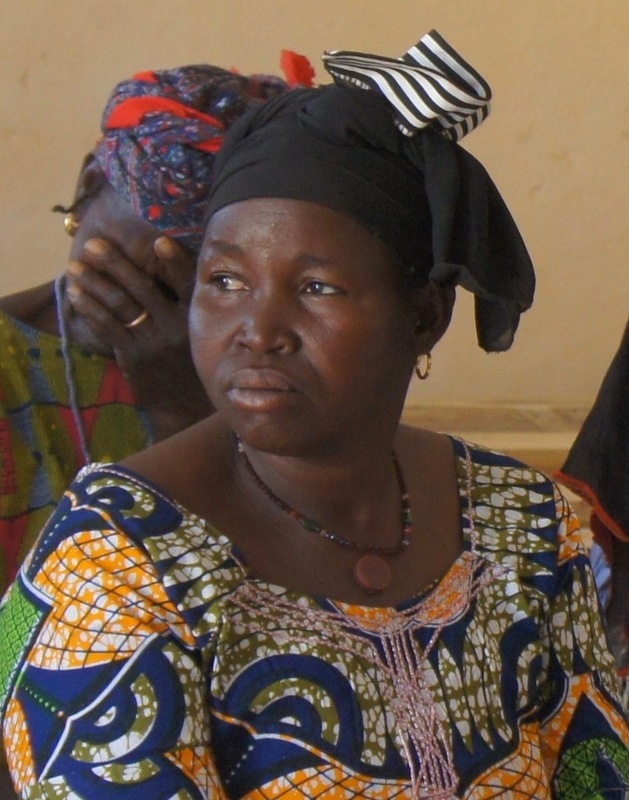 With activists such as Aissata, there is some reason for hope for a brighter future in Mali.